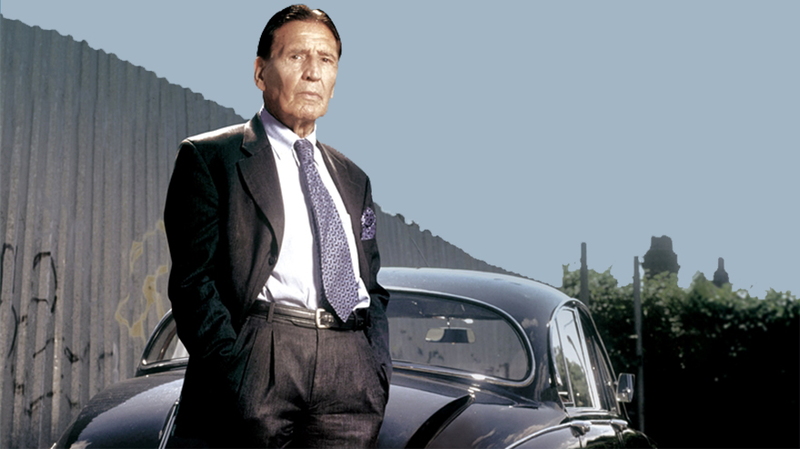 An introduction to 'Mad' Frankie Fraser and London's most notorious gangsters. Frank Fraser, better known as 'Mad' Frankie Fraser, was one of the most a feared and respected West End crime lords of the 1960s and head of a legendary Gangland family. Here's an introduction to 'Mad' Frankie and his associates, including some of London's most notorious gangsters. Frankie Fraser was a notorious torturer and hitman, who worked as an enforcer for some of London's most feared gang leaders, including Billy Hill in the 1950s and the Richardson gang in the 1960s. His greatest moment of national notoriety came during what was known as the 'torture trial' of the Richardson gang in 1967, which became one of the longest in British criminal history. With sawn-off shotguns as toys, the Kray twins as family friends and a Mother who urged them as teenagers to 'get out of bed and rob a bleedin' bank', it is little wonder that Frank Fraser's boys were heavily involved in organized crime by the time they were in their twenties. Frank and his sons have, together, spent more than sixty years behind bars. Patrick and David's criminal career includes armed robbery and drug-running. Billy Hill was dubbed 'the boss of Britain's underworld' long before the Kray twins or the Richardsons came on to the scene. He was born in 1911 and established himself as one of London's main gang leaders with what was known as 'the Heavy Mob', who were perpetrators of organised crime in London from the 1930s through to the 1960s. He was a smuggler, operated protection rackets and masterminded cash robberies. Perhaps his most famous crime was an ingenious scam, known as 'the Big Edge', where he and John Aspinall defrauded London's high society of millions at the card tables of Aspinall's Clermont Club. Reggie Kray once wrote that "the man I most wanted to emulate was the former gang boss of London's underworld, Billy Hill". Frankie Fraser worked for Billy Hill in the 1950s, and carrying out bank robberies and razor attacks on his rivals. Twin brothers, Ronald and Reginald Kray, along with their gang ‘The Firm’, were some of the foremost perpetrators of organized crime in the East End of London. They ruled London's underworld for more than a decade from the early 1960s. As gang lords they were among the most powerful and feared men in the city. Photographed by David Bailey and even interviewed for television, they became celebrities in their own right and are infamous to this day. Ronnie and Reg's reign of terror ended on 8 March 1969 when they were sentenced to life with the recommendation that they serve at least thirty years. Ronnie Kray shot and killed George Cornell, associate of rival gang the Richardsons, at the blind beggar public house in Whitechapel, after he allegedly insulted and threatened the twins and in retaliation for Frankie Fraser's killing of, Kray associate, Richard Hart. This resulted in an all-out gang war and to the eventual downfall of both the Krays and the Richardsons. In 1969, the twins were jailed for life for Cornell’s killing and Jack ‘The Hat’ Mcvitie’s murder in 1967 at a house in Stoke Newington. Brothers Eddie and Charlie used a scrap metal business and fruit machine company as fronts for a criminal empire involving drug dealing, protection and extortion rackets. The Richardson's, along with 'Mad' Frankie Fraser and George Cornell, were the main rivals of twin brothers Ronald 'Ronnie' Kray and Reginald 'Reggie' Kray during the 1950s and '60s. Known as the 'torture gang' , they had a reputation as London's most sadistic gangsters, where Fraser was the gang's bodyguard and hitman, infamous for pulling people's teeth out with pliers. Charles Richardson reputedly specialised in various tortures administered at secret 'courts' at which he presided, sometimes robed like a judge, before turning his victims over to over to fraser. Mad Frank and Sons is out now in Paperback and as an Ebook.